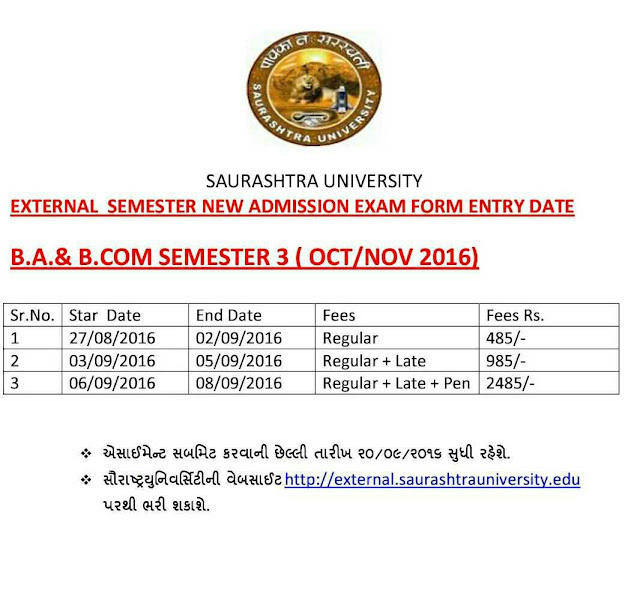 Uncategories ":SAURASHTRA UNIVERSITY--EXTERNAL B.A./B.COM. SEM-3 EXAM FORM ENTRY DATE. ":SAURASHTRA UNIVERSITY--EXTERNAL B.A./B.COM. SEM-3 EXAM FORM ENTRY DATE.